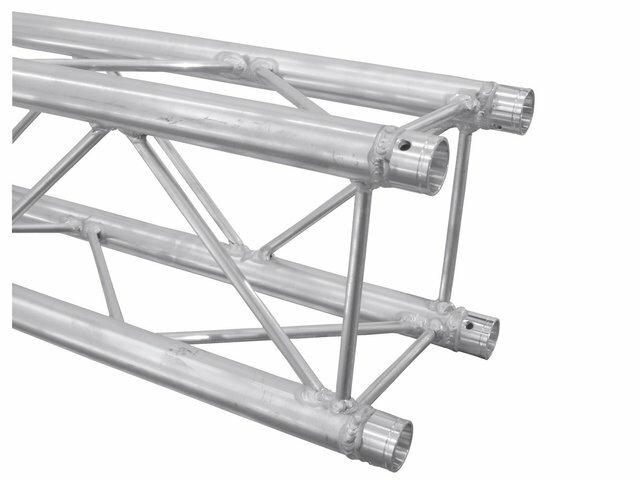 DECOLOCK DQ4 is a 4-point truss system made of aluminum. 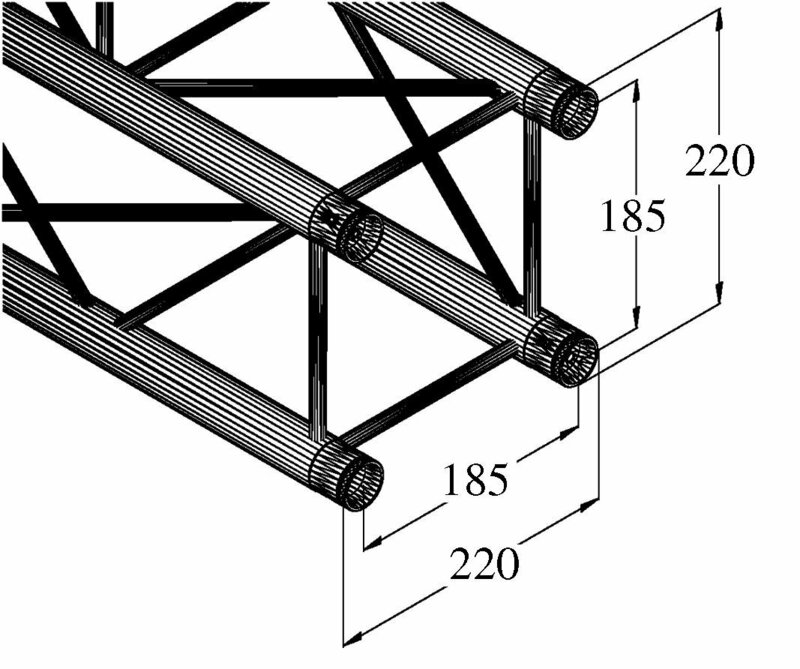 The individual elements are connected via four cones, pivots and pins. The four main chords are made of 35 mm aluminum tube with 2 mm wall thickness and offer sufficient strength at a low weight. 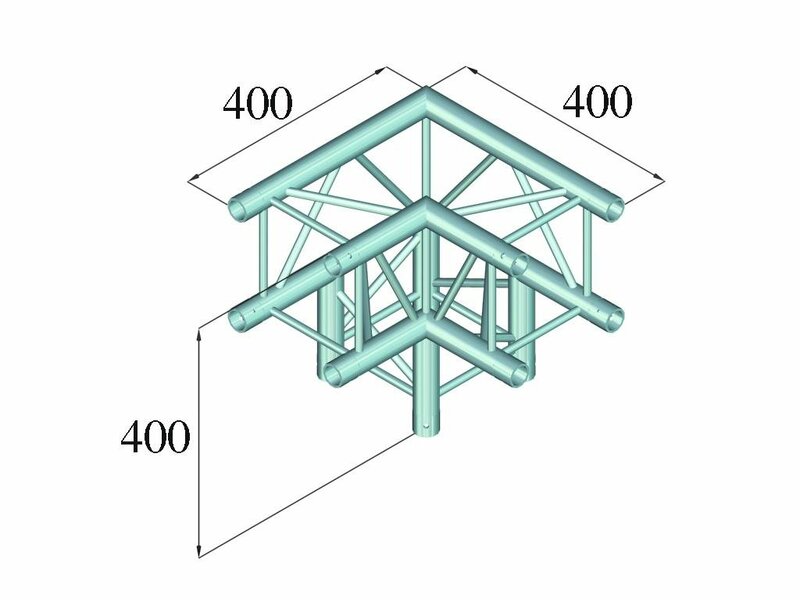 The braces have a diameter of 10 mm with 2 mm wall thickness and provide the system with a decorative appearance. DECOLOCK is primarily designed for decorative installations and can be used for permanent or temporary installations due to its highly aestethic appearance. 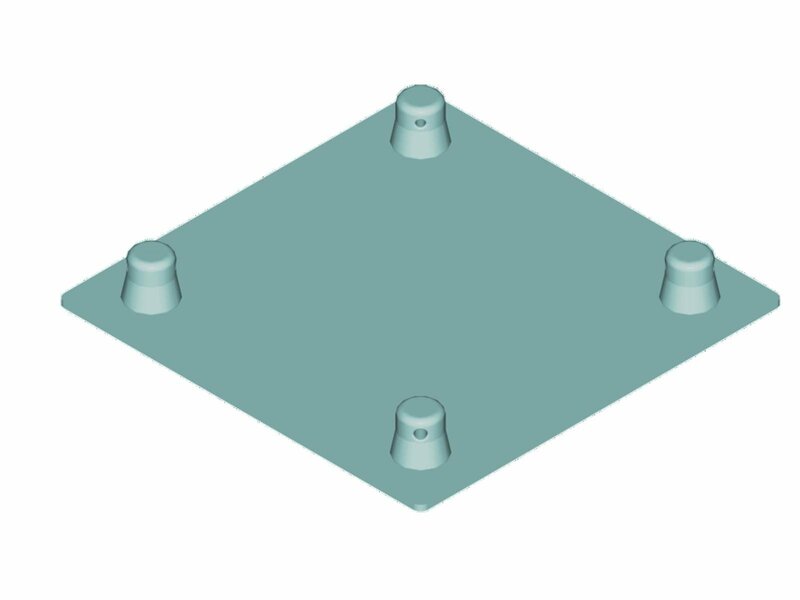 The advantages of this system are the compact construction with 220 mm outer dimensions, low weight, optimum strength along with easy and quick assembly.